All cold climate gardeners ‘know their zone’. And if you are not sure the new USDA website, with the latest plant hardiness zone map, will enable you determine your zone with great precision. 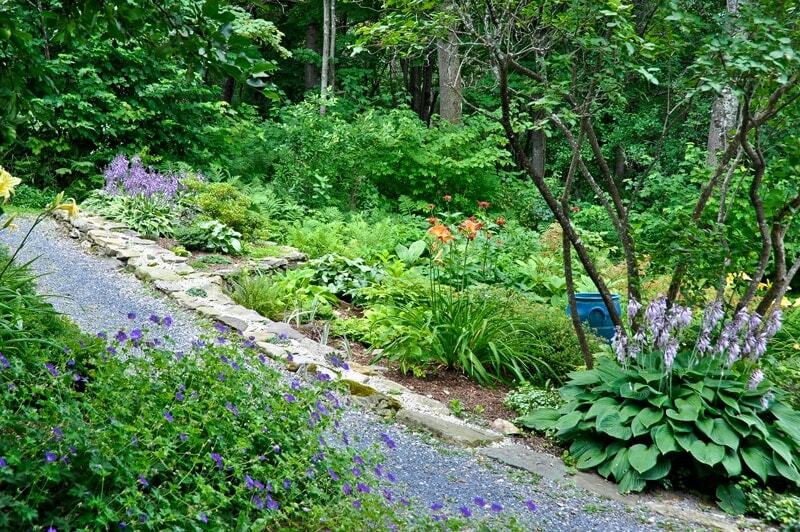 It will certainly help you choose plants that will thrive in your garden. 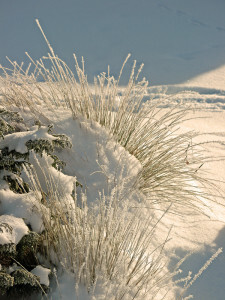 Details such as micro-climates and snow cover, sun and wind, wet or dry, all play a role in how well our plants will survive a New England winter. Let’s take a look at these ‘beyond the hardiness zone’ details and how they can inform us as gardeners.. Temperatures vary on a finer scale than we can see on even the most detailed zone map. Some areas may be a little warmer, or a little colder, than their surroundings. A sunny wall will absorb the sun and warm the earth, whereas in a shady spot it may be colder for much of the winter. Fluctuations like these are called micro-climates. 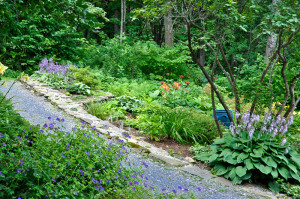 And, as you decide what to plant and where, and it is helpful to consider your garden’s nuances. Winter winds will dry out evergreen leaves, leaving them more vulnerable to frost damage. And winter sun, especially late in the day, causes thawing followed by freezing, resulting in tissue damage. 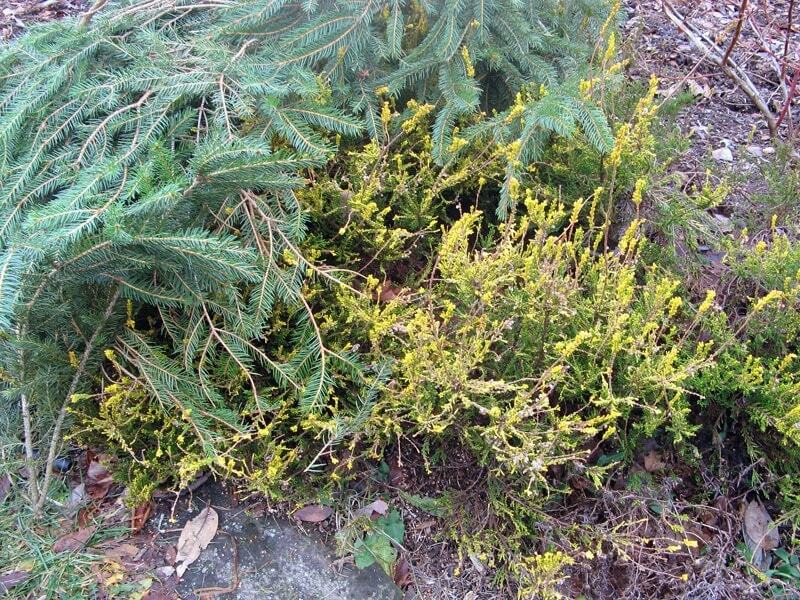 So avoid planting evergreens in that windy westerly spot. Snow’s insulation is also why the sub-niveans, small creatures like mice and voles, make snow tunnels at ground level— which, come spring, are all revealed as the snow pulls back. And once, when out snowshoeing in the woods, I was startled by a grouse flying out from beneath my feet, drumming as it went. Apparently it had burrowed into the snow for warmth. Most years, here in the mountains, we can expect about a foot of snow throughout winter’s coldest months. This is perfect, not only for the little animals and grouse, but also for my less hardy perennials and low-growing sub-shrubs like lavender and heathers. 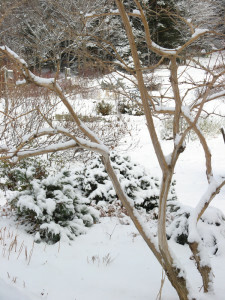 Our ‘open winter’ of 2012, with scant snow-cover, is most unwelcome for this cold-climate gardener. And if you live in a cold place that routinely loses its snow cover, in late fall you are well advised to protect precious perennials and heathers with a mulch of pine branches or chopped leaves. Plants appreciate going into winter well watered. This is especially true of evergreens which will continue to lose water through their leaves during the winter months. However, most years in New England we have abundant rainfall in the late fall, and for established plants the gardener need not to do anything more. 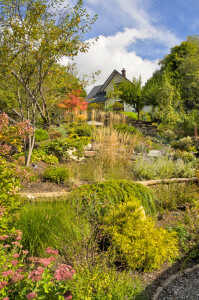 However fall is a wonderful time for dividing and moving perennials (and even shrubs) as well as for planting that bargain you could not resist at the the local nursery’s end-of-season sale. In these situations it is critical to thoroughly water in your new or moved plants. On the other hand, particularly in heavy soil, ground water does not drain freely in winter. So if your plants are situated in a spot that remains water-logged in winter, their roots are unable to breathe and they may die. So when it comes to watering for winter: remember the Goldilocks Rule: your plants need not too little and not too much…BUT JUST RIGHT. In March and April the buds on trees and shrubs are beginning to swell in preparation for opening. We call this ‘breaking dormancy’. Very cold weather coming at this time will be much more damaging to your plants than similarly cold temperatures in January or February, when they are fully dormant. If a brief late cold-snap is forecast it is a good idea to throw a cover to protect the buds of early blooming shrubs like spring-flowering azaleas. Astute gardeners who do a little research will discover that the same plant variety (or cultivar) being rated by some sources as only hardy to Zone 5, but other sources will assure you it is hardy to Zone 4. This is because hardiness information, especially for newly introduced cultivars, is often based on observations and reporting by individual gardeners. Scientifically designed field trials take considerable time and resources to complete, and are done at a later date, if at all. So, if you are unsure about the hardiness of a particular plant, go on the internet and check out several references. The results may surprise you! So how to choose your plants? Even with all these caveats, we still use the lowest anticipated temperature as the main gauge to determine if a plant will make it through the winter. And, like gardeners across the country, it pays to check the Hardiness Ratings of individual plants and also to consult the Plant Hardiness Zone map before deciding which plants to grow in our gardens. But we also need take into account the idiosyncrasies of our own gardens. Micro-climates, snow cover and exposure, wet and dry, all play a part. Got that plant in your hand…now give some thought as to the place in your garden where it will thrive best. And then relax and go plant it!! Occasionally I know I will lose a treasured specimen. And sometimes I go with an educated guess when it comes to that marginally-hardy fancy new plant I have been coveting! But nothing ventured, nothing gained…so be bold and take a few risks!